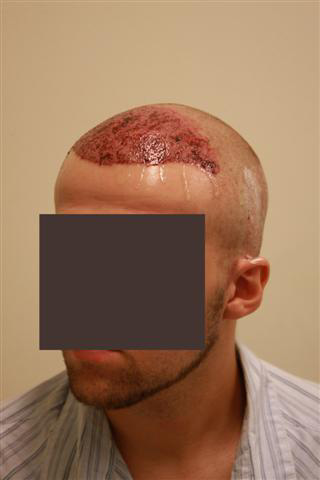 Hey guys…I just wanted to update everyone on my FUE procedure I had this week with Dr. Armani in Toronto. I had a wonderful experience at the clinic with everybody involved. From the moment I walked thru the door at 7:00 am. until I walked out and the nurse waited for my ride with me later that evening. I just have so many greats things to say that made my procedure a comfortable one. These little things all added up to reassure me I made the perfect choice when I chose Armani. As for the procedure it went so smooth and easy. I was a bit nervous before hand even though I was told numerous times that there was nothing to worry about. Dr. Armani was there the entire time with his team taking first class care of me. He talked to me during the procedure which helped put me at ease even more. My final graft count was 2300 and I should have pictures up in my journal soon. Now its recovery and time and to relax. I am really excited for the next couple of months! Congrats, I am dying to see where he put the grafts. Armani did a wonderful job. Its going to be thick I can tell already. » Armani did a wonderful job. Its going to be thick I can tell already. Is it true that he advises patients not to go to the gym for 1 year ? I have never heard that information. In my post-operative instruction booklet from Dr. Armani it says you can start light exercise after one month only. It says not to work out right away because of the risk of infection due to sweating. I hope that helps you. » infection due to sweating. I hope that helps you. It was muscleboy (also an Armani patient) who said that in his blog, I fid that hard to believe, 1 year not being able to exercise is too long, thanks for clarifying. What about swelling, can you let if and when swelling starts to kick in? Thanks. I suppose everybody reacts differently so its hard to say. But from my personal experience the swelling started the day after the procedure and it is almost gone 2 days post-op. It worked itself down the face but there has been no pain whatsoever. Aslong as you lay low for a day or two the swelling is no big deal. » swelling is no big deal. I guess there goes the theory that fue doesn’t cause swelling. Are you going to post some postop pics? I would like to see the grafts placement. I am not sure which theory that is. Every doctor and patient I’ve spoken with has explained to me that some swelling is involved. The extent of it depends on the graft amount and the person. Glad that you had a great experience with Dr. Armani and we look forward to see your pictures. I had my procedure with Dr. Armani 1 month ago for the crown 2300 fue and my experience was as great:-) Good Luck growing. Thanks for the encouragement. I just looked at your pics and everything seems to be going positive for you too. The growth from your first procedure looks great and should only be getting better and better from this point on. I look forward as well to see your upcoming pictures. » crown 2300 fue and my experience was as great:-) Good Luck growing. Congrats on your 3-month results, look very promising so far. Keep us posted. 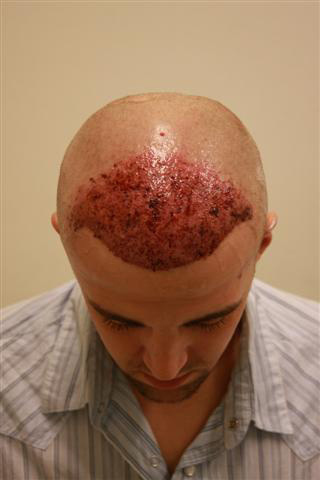 Let me know if you are interested in meeting others in your area who are seeking hair transplant advice. I will update your forum signature so that people know that you are available to meet in person. Research on the internet is helpful to a certain extent, but there is nothing like being able to meet with someone who actually had the procedure done. 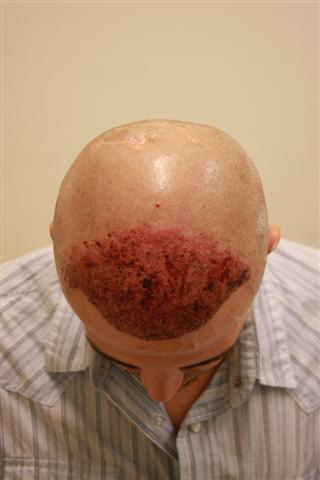 This will be very helpful to those who are considering hair transplant for the first time. » this point on. I look forward as well to see your upcoming pictures. If you don’t mind me asking, how long did he say it would take for the donor site to heal? Sure I don’t mind let me know what u need. » » crown 2300 fue and my experience was as great:-) Good Luck growing. I would imagine healing defers from person to person but the lotion they gave me for the donor site is to be used for 10 days. So I believe that is average healing time frame for the donor site. I can tell you that mine is 4 days into healing and it is already looking much better. Glad you had a great experience and happy with the start of your new hair journey. Look forward to you getting that journal up and seeing your progress. » » Armani did a wonderful job. Its going to be thick I can tell already. » Is it true that he advises patients not to go to the gym for 1 year ? You can resume light cardio and light free weights after 1 month. Leong, I have your post op pictures taken at the clinic and have posted them for you. Thanks for putting my pics up. And please thank everybody at the clinic for everything they did for me. It looks like you are going to have some great results. They did a great job with the dense packing of the grafts. Looking forward to seeing more photos of your progress.